2-16 –Essential Logic Do You Believe In Christmas? "This compilation CD is dedicated to my spiritual master A.C. Bhaktivedanta Swami Prabhupada who built a house in which the whole world can live." Fanfare in the Garden brilliantly shows a career of the talented artiste in all its progress and mutations. Starting with art punk in a rather aggressive modification, demonstrating such brilliant songs as “Aerosol Burns”, “Shabby Abbott”, “Collecting Dust” and many others, and then slow transition into different genres and styles. There are some fine tunes in the genre of artistic reggae and in the later years some songs even have dream pop motives. 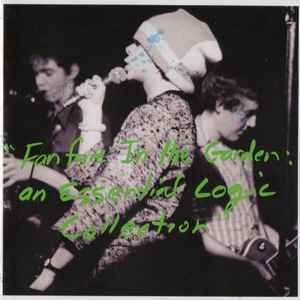 Fanfare in the Garden is a generous and exhaustive collection of excellent music.